The Sacred Stream Center is home to The Foundation of the Sacred Stream, a non-profit 501(3C) organization, and its many programs. We host many cultural and community events, performances, trainings and other programs, and our sanctuary is available to rent. 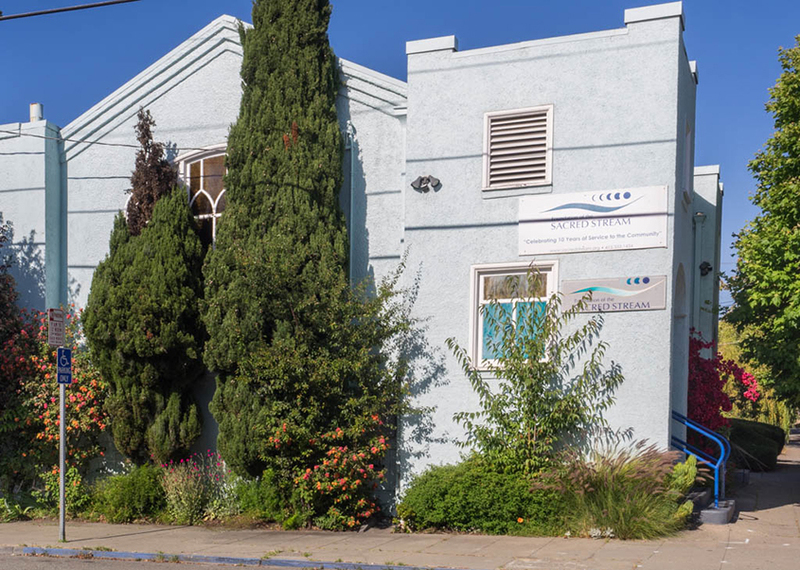 The Sacred Stream Center is located near public transportation and I-80 in the heart of Berkeley. The Sacred Stream Center is home to the Foundation of the Sacred Stream’s workshops and events, as well as other community events and workshops. 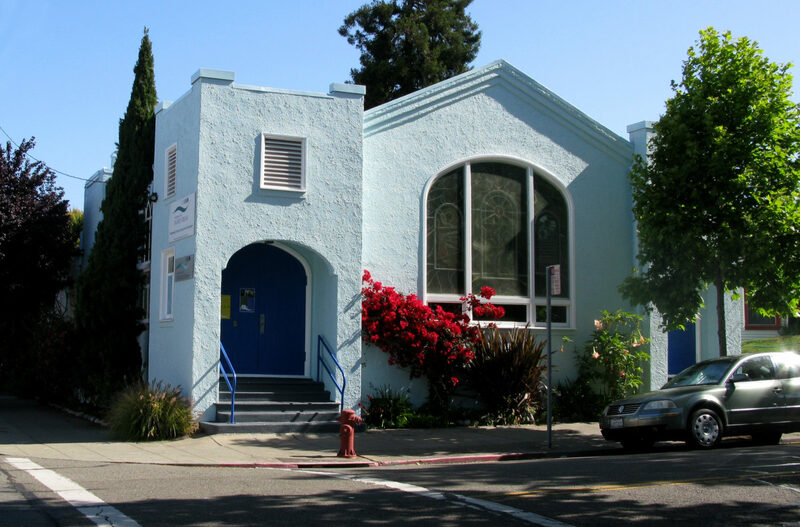 The 2800 square foot converted Lutheran church is conveniently located near public transportation and I-80 at University in Berkeley. The space is entirely wheelchair accessible, with an enclosed deck and garden, kitchen, and multiple bathrooms. 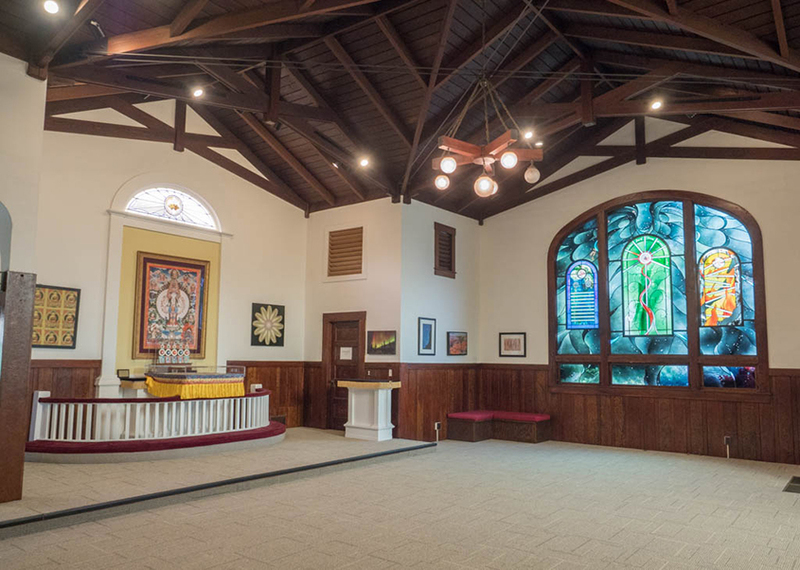 This beautiful, light-filled space with high-beamed ceilings and stained glass windows is available to rent for workshops, events, and ceremonies. The building is divided into two large areas. The Sanctuary room is approximately 1800 square feet and seats just over 100 people. Groups seeking extra room, additional privacy, or break-out space can rent the entire building. Pricing is based on group size and needs. 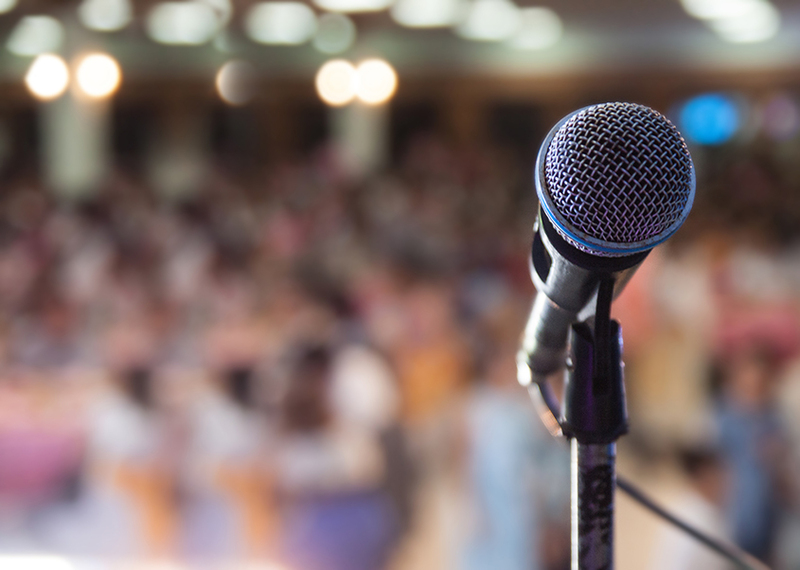 Visit our events calendar for a full list of upcoming Sacred Stream Center workshops and events.